Hi, my name is Bernd S Koehling and I'd like to thank you for visiting my site. I was born in a small town at the western side of Germany close to the Dutch border on January 1st, 1951; yes, I know, what you think now :-). My first interest in cars (fast cars) was fueled by my father, who took me along to watch races at the Nürburgring, when I was still a kid. From that moment, the interest in cars never disappeared. Although my later business life in the pharmaceutical industry did not leave me too much time concentrating on this hobby, I tried to pursue it, whenever I had the opportunity. My first car was a BMW, the tiny two-seater Isetta with a front door. 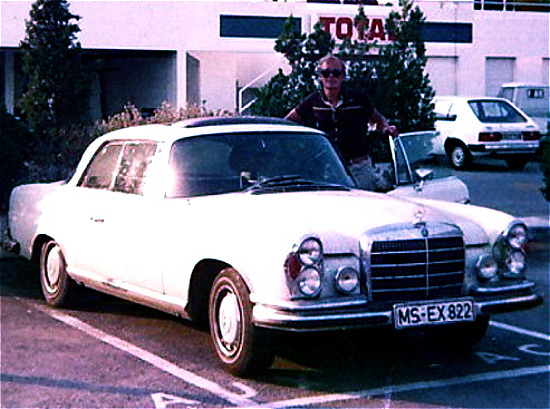 While I served in the Air Force, I bought my first Mercedes-Benz, a used 200 Diesel W110. 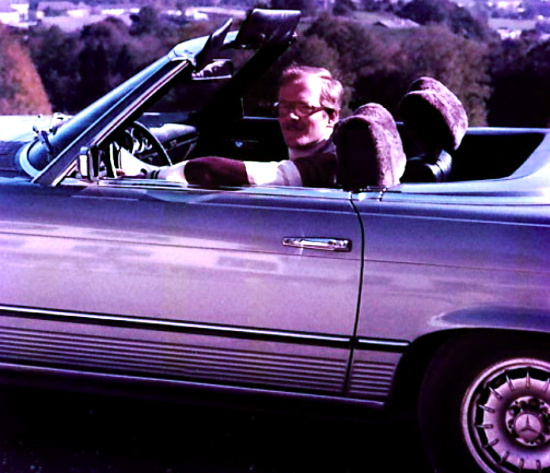 After that first encounter with the three-pointed star, a succession of other Mercedes vehicles followed, among them a 250SE, 300 Adenauer and my first V8: a light-blue metallic 350SL with manual shift. 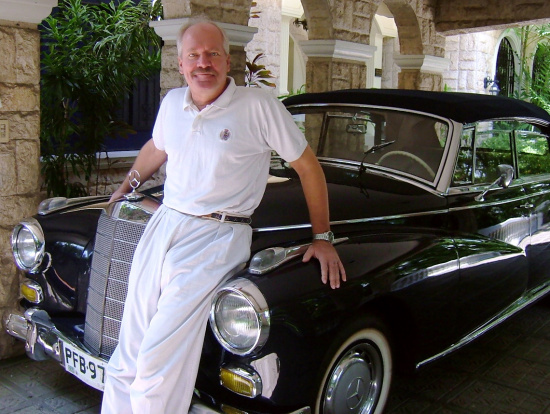 I bought my first vintage car in the mid 1970s, a black Mercedes 170V Cabrio B, 1936. I only could afford the car, because it was pretty run down. Little did I know how much it would cost me (time- and money-wise) putting it back into a somewhat drive-able condition. But I learned my lesson and the next vintage car that I bought a few years later was a more decent 170S Cabrio B (already in those days, Cabrio A's were out of my price-league). After I had lost the 350SL in a car crash, I was lucky to inherit from an uncle of mine a mint 280SE Coupe 3.5. I kept the car for thirty years. 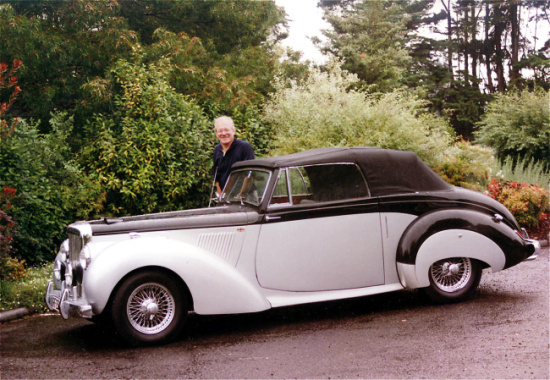 Now fully caught by the Mercedes virus (although I have a weakness for anything British too), I decided to start collecting everything that I could find about these fascinating cars: stories, pictures, various memorabilia, etc. Because I knew, one day I would love to write about these great automobiles with the famous three-pointed star. I am now retired and have decided to take up that old promise of mine and start writing about my lifelong hobby. And just in case you will be interested in reading what I have put down on paper, I hope it will give you as much pleasure as it gives me writing about these cars.